Delhi BJP president Manoj Tiwari claimed that the Delhi government collected Rs 775 crore as environmental cess in the last three years but none of that has been put to use. 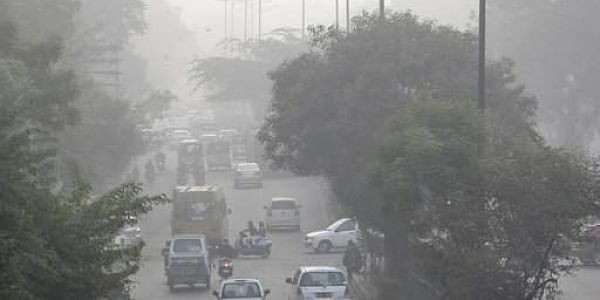 NEW DELHI: The BJP's Delhi unit today accused the AAP government of failing to act on environment protection despite having "ample" resources, and asked it to share details of spending of the environmental cess. Delhi BJP president Manoj Tiwari claimed that the Delhi government collected Rs 775 crore as environmental cess in the last three years. "This year when the people are suffering badly and an accumulated fund of Rs 775 crore lies at its disposal, the Kejriwal government has not found it worth spending on improving the environment," he said. Tiwari demanded that the government tell the people about the work done by it for environment protection and give the details of the environment cess collected over the years. The Supreme Court directed for collection of environment compensation charge at the rates of Rs 1,300 and Rs 700 from trucks and smaller commercial vehicles, respectively, from November, 2015. The South Delhi Municipal Corporation(SDMC) collects the tax through concessionaire which it hands over to the Delhi government's transport department.